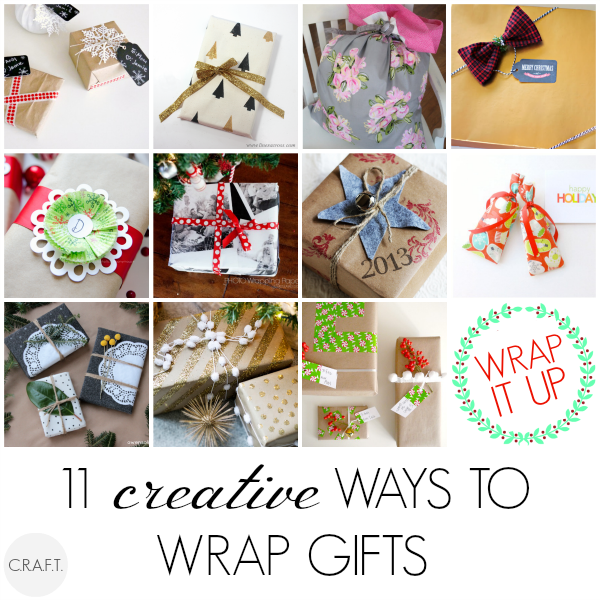 11 Creative ways to wrap gifts - C.R.A.F.T. Christmas is only 11 days away! Ahh! Hopefully you’ve had a chance to get your Christmas shopping done and now it’s time for the gift wrap portion of the holiday extravaganza! I don’t like buying fancy themed wrapping paper, I like to use really awesome free things, hardy har! And here are 11 unique ways to utilize thing you probably already have on hand! Like old clothes, fabric scraps, packing tape, and even old stockings! 1. 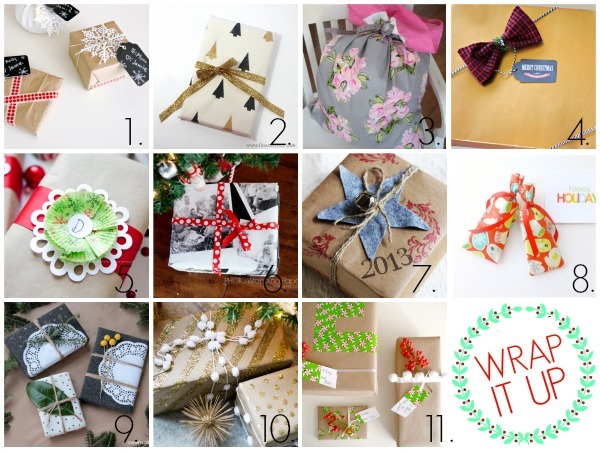 Kraft paper and washi tape with C.R.A.F.T. 11. Kraft Paper and EZ Start Printed Packaging Tape with C.R.A.F.T.